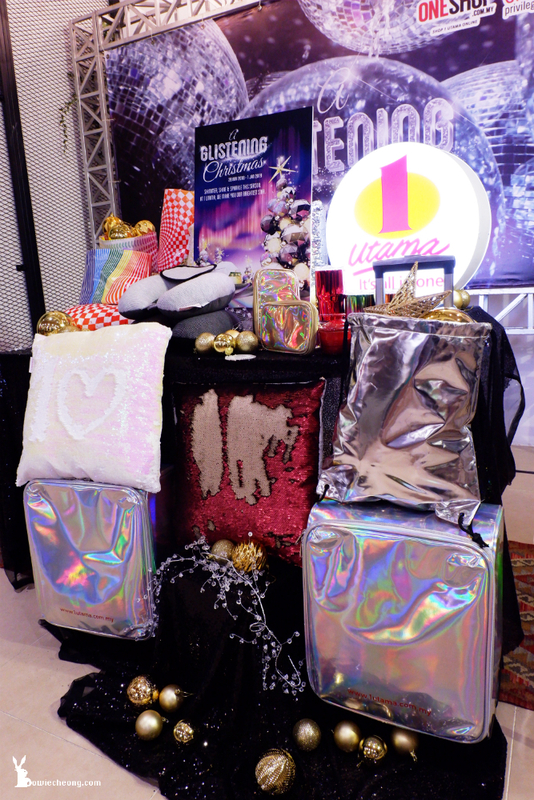 Ho~Ho~Ho~!! The month of Christmas has arrived! 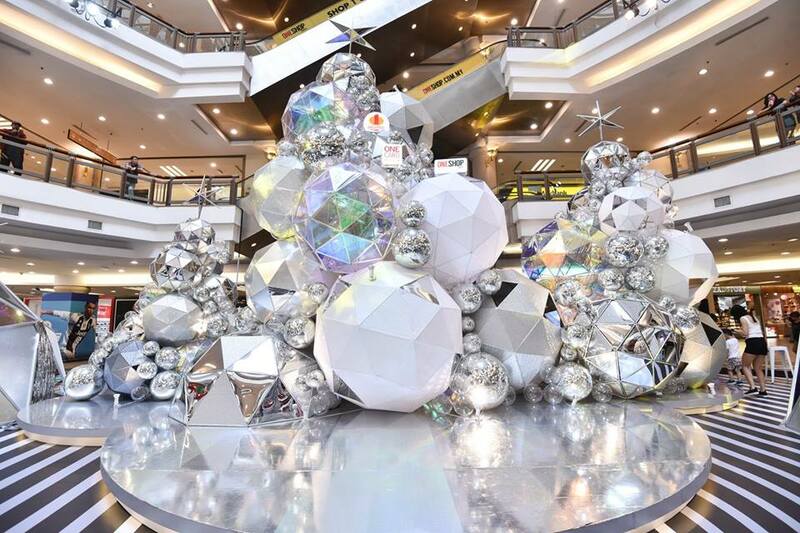 Unlike to other traditional christmas tree decoration, 1 Utama Shopping Centre is pulling out all stops to set trends with its futuristic Christmas decoration for 2018 and end the year with a bang! 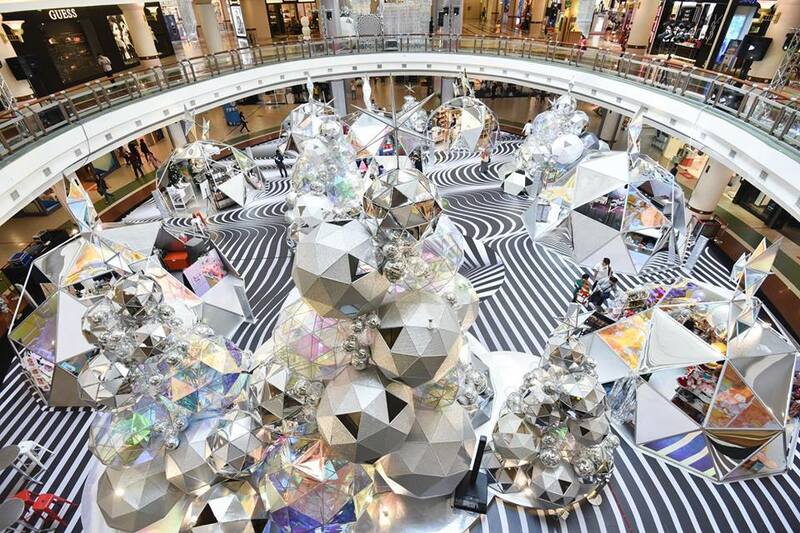 Literally bringing art to life, this Christmas is looking rather avant-garde in this biggest mall in Malaysia and the world's 7th largest mall. 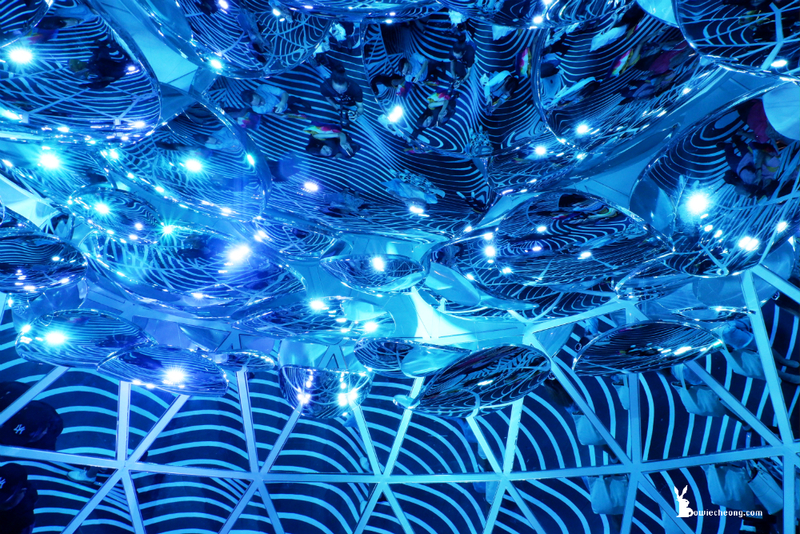 Themed as " A Glistening Christmas", 1 Utama want to transporting visitors to a multi-sensory world of interactive media art and installations. 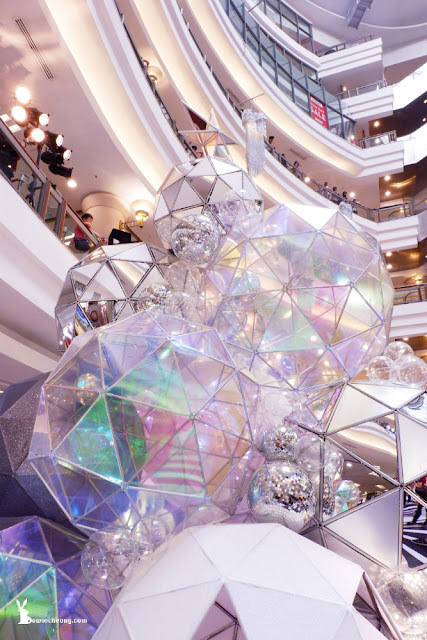 Make yourself as a brightest star with holographic giant crystal globes which featured in the mall's LG Oval concourse. 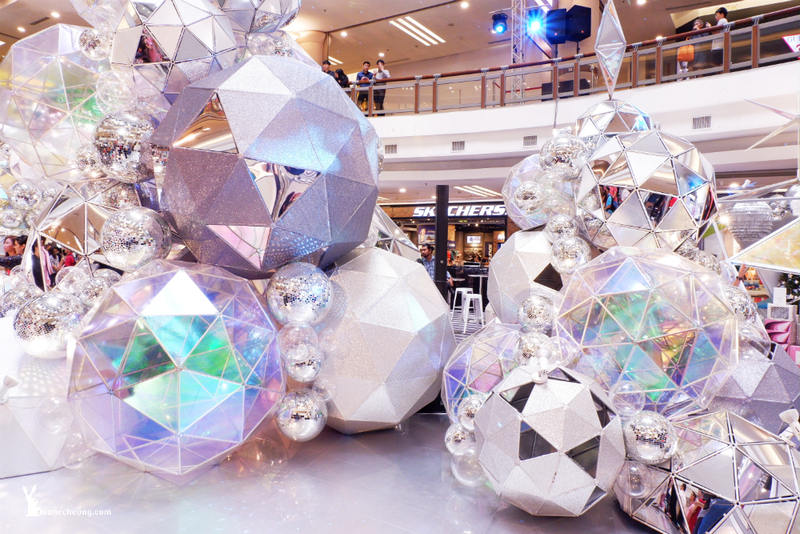 While glittering Christmas trees are fashioned creatively from geometric-shaped crystal balls that cast mirror-like reflections from every angle. Further adding to the eclectic atmosphere are psychedelic black and white floor prints. 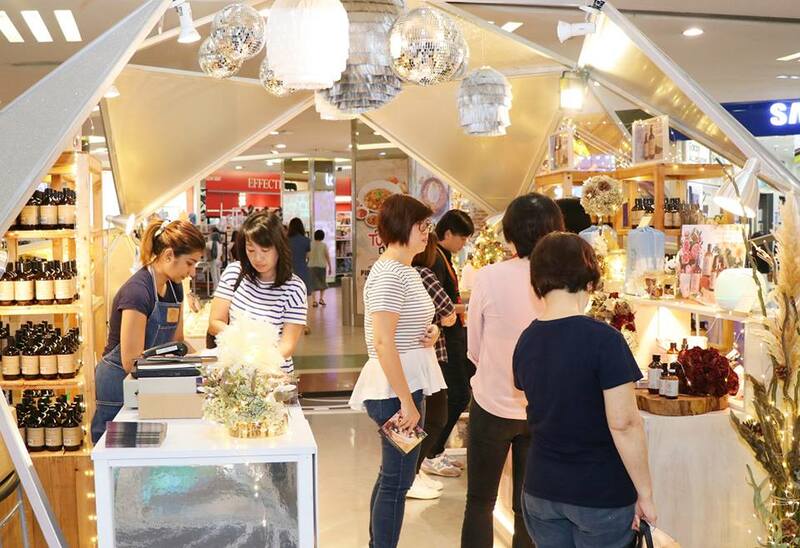 There are a variety of Christmas Booths located at LG Oval and LG Highstreet, ranging from Yuletide merchandise, beauty products, toys, gifts and more. 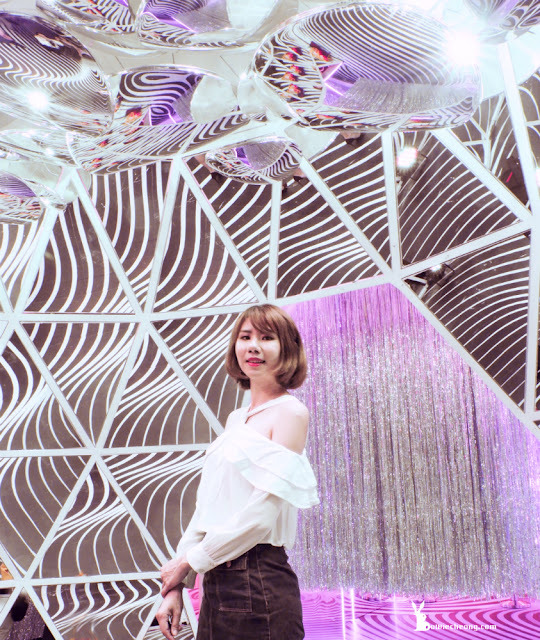 That is another exciting photogenic spot, 1 Utama's fully immersive PlayRoom zone sure drive you crazy! 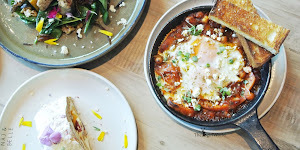 Social media fans can happily feed their Instagram feeds to explore 5 different types of pop-up rooms here. 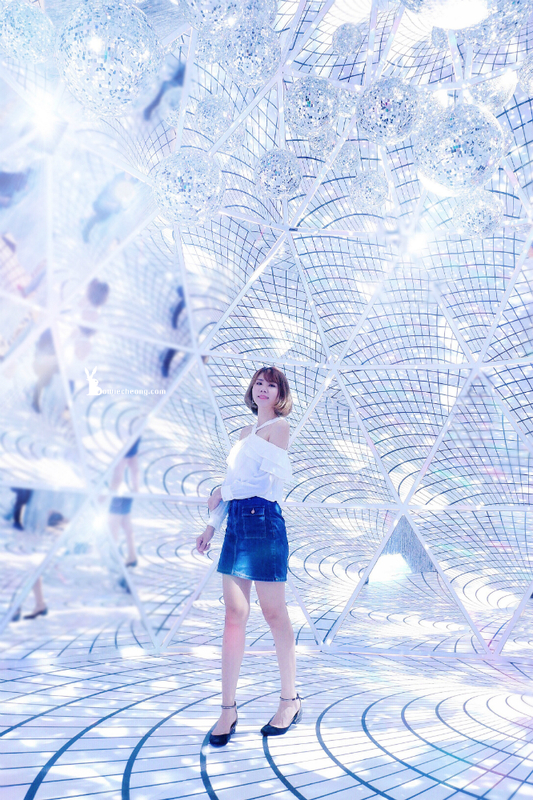 Definitely this is an unforgettable experience of different art mediums and installations visualised to ignite your senses and imagination. The great news is FREE ENTRY for these playrooms! 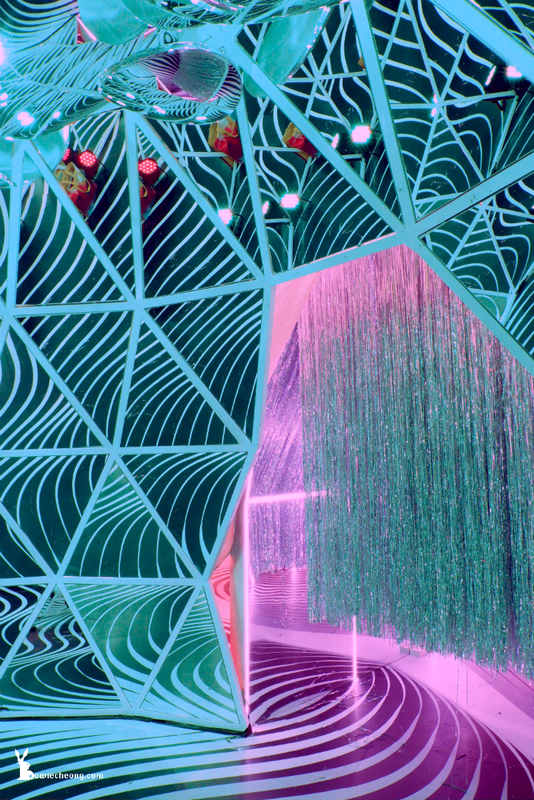 Walk though tinsel foil curtains to get in the playroom. 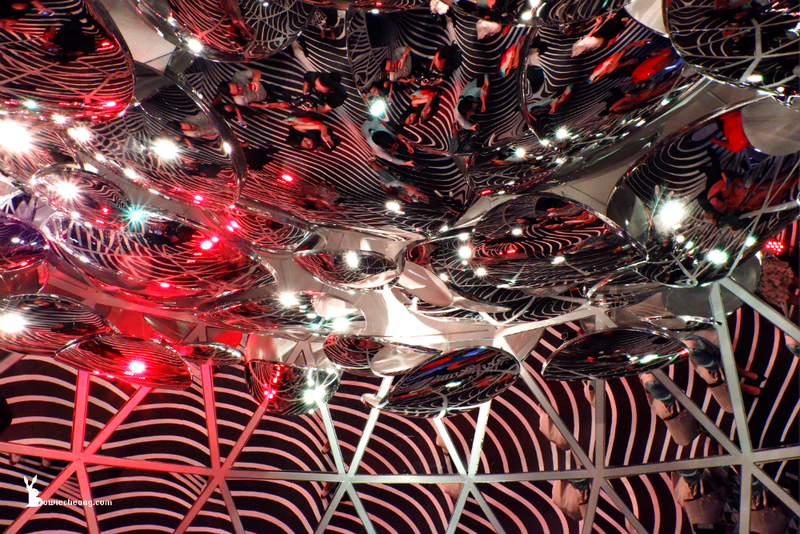 Chamber of convex's ed mirrors offers a kaleidoscopic illusion of infinite space. My personal advise : The lighting in these playrooms are keep changing like in a disco, either you bring a nice camera or a good photographer to make your photo shooting going smooth. 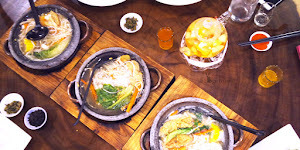 Otherwise, you might learn from me, pay attention on how's the lighting change, get ready when almost turn to the nice lighting. 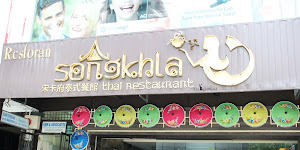 My personal advise : I don't recommend to take photo under blue light because it will be very difficult mission to edit. Love this photo so much! 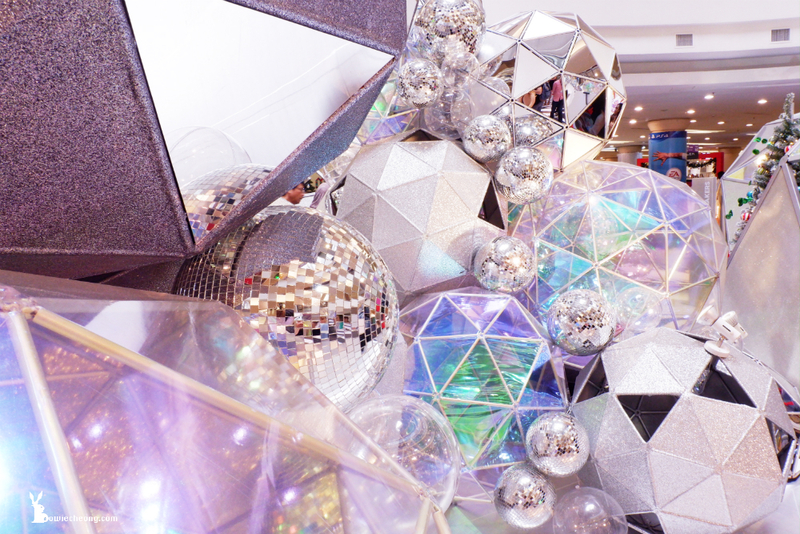 so shine so glittering with radical vibes bounce from reflective globes. Scan the festive QR code, then select your favourite Christmas song and watch as the lights light up and dance to your special Christmas tune. Bring a mug/ tumbler and buy a takeaway drink at Jardin Cafe, you will be rewarded with RM5 ONECARD UPoints cutback and free cookie worth RM6.20. 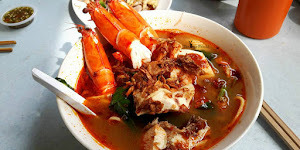 * Limited to the first 200 participants daily from 10am to 7pm. Take photos with the 8 feet tall Aquaman and Mera figurines and participate in games and photo booth. 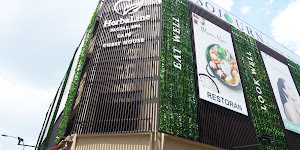 Take home with 2 FREE instant photo prints by WePrint when you "Like" 1 Utama's Facebook page. On 15th & 16th Dec, make your Christmas a merry one with the personalised Christmas ornaments if you "Follow" 1 Utama's Instagram. 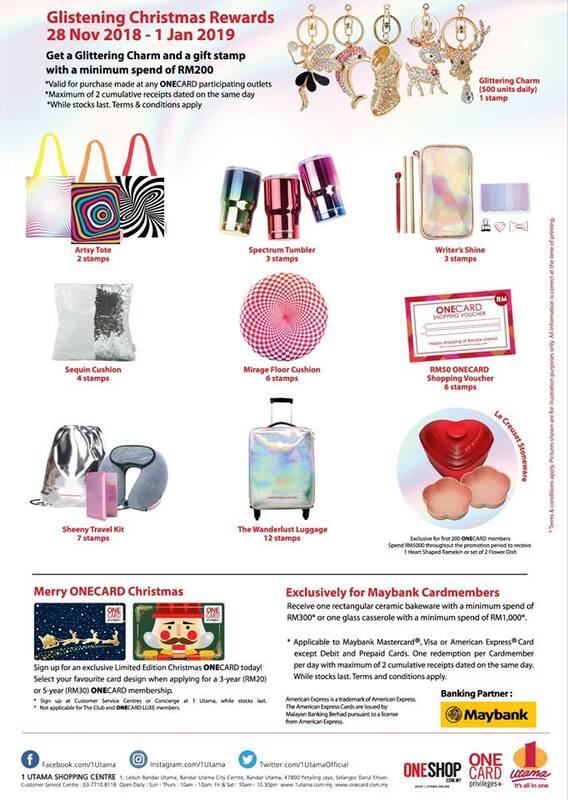 From glittering charms to sequinned cushions, travel kits, luggage bag, ONECARD shopping vouchers and Le Creuset kitchenware. 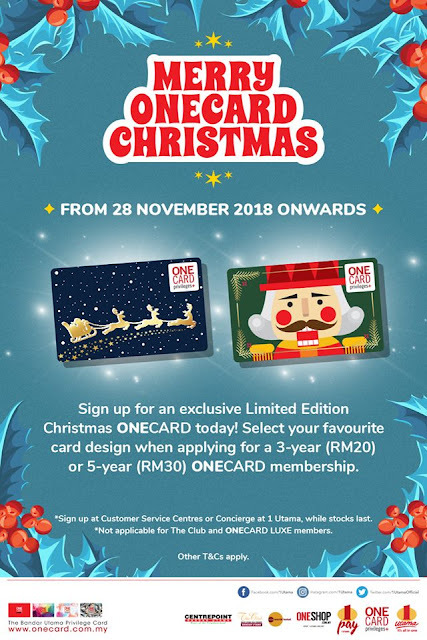 Limited Edition Christmas ONECARD's (Nutcracker and Santa Sleigh) specially for you! 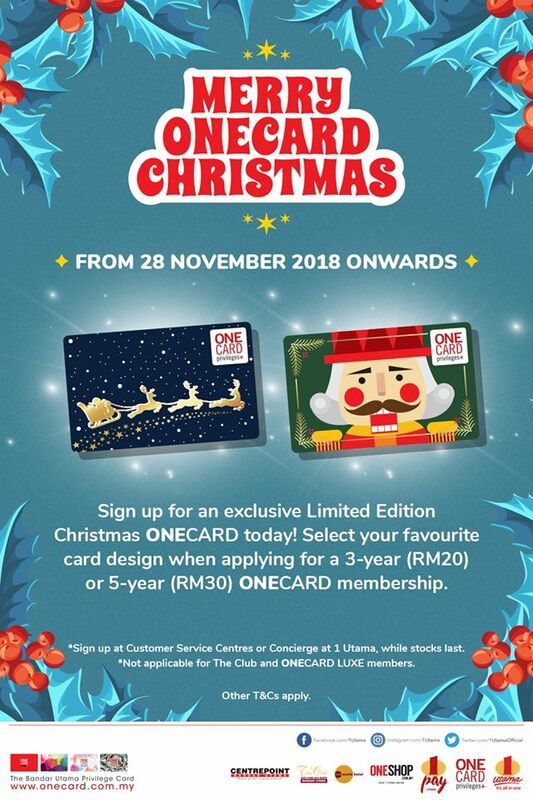 Select your favourite card design when applying for a 3-year (RM20) or 5-year (RM30) ONECARD membership from 28 November 2018 onwards. *Sign up at Customer Service Centres or Concierge at 1 Utama, whilst stocks last, not applicable for The Club and ONECARD LUXE members, T&C's apply. 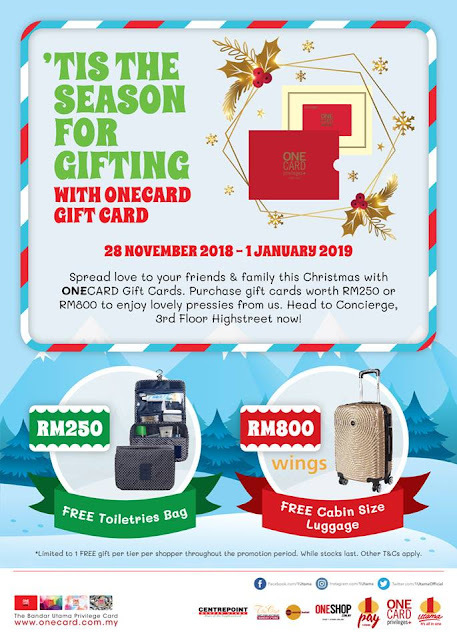 Shoppers will have a blast shopping for the best year-end sales and promotions, open minds and eyes with their creative Christmas decoration, and happening Christmas programme in 1 Utama.